With the announcement that Barack Obama will soon host Benjamin Netanyahu at the White House, it is time to brace for the resumption of a tired debate about whether the Israeli prime minister seriously wishes to revive the peace process. Few now believe Netanyahu can change his right-wing spots, but many still wonder whether the Israeli left can exert an influence for good. There is much speculation about whether opposition leader Isaac Herzog, head of the Zionist Union party, can be enticed into Netanyahu‘s government and encourage it towards peace. But a deeper truth about the Israeli left was exposed this month by the introduction of a draconian terrorism bill. The measure, called “wildly authoritarian” by one Israeli analyst, lets the government define any group it dislikes, including civil ones, as a terrorist organisation. Offering non-material support, such as a “like” on Facebook, could land you three years in jail. “Abetting terror”, even unwittingly – say, by selling a car to someone who later carries out an attack – can earn you 30 years. It is no surprise that Netanyahu and his right-wing partners rallied behind the legislation. But so too did the supposedly centre-left Zionist Union. Lined up almost alone against the bill were the parliament’s small number of Arab legislators. Those chiefly targeted by the bill will be Israel’s 1.5 million Palestinian citizens, a fifth of the population, as well as Palestinians in the occupied territories. Afterwards, Arab MPs berated the Israeli left. Jamal Zahalka accused his so-called opposition partners of being “the mother of all racism” in Israel. An icon of the young left, Stav Shaffir, who led Israel’s social justice protests before becoming a Zionist Union MP in 2013, came in for especial scorn. She had failed even once to acknowledge Zahalka when their paths regularly crossed. “The extreme right are at least human beings – they say hello to you and smile at you,” he noted. 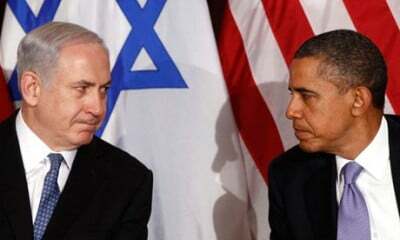 Many Israelis assumed he was grandstanding. But his assessment of a hypocritical left is widely shared by Palestinians in Israel and the occupied territories – and for good reason. The peace industry’s mistake has been to assume that there is a clearly delineated political spectrum in Israel from right to left, with the latter’s positions favouring human rights and peace. In fact, in contrast to perceptions abroad, Palestinians often point out that in admittedly limited ways Netanyahu has offered them more than his centre-left predecessors did. His policy of “economic peace” – maybe better characterised as pacification – at least dismantled many of the hundreds of checkpoints that for a decade choked ordinary life for occupied Palestinians. In recent years he has even opened small sections of the Israeli economy to the Palestinian minority. Where Israel’s right distinguishes itself from the left is not on the question of justice for Palestinians. It is in its ready resort to fear-mongering and, alarmed by its own rhetoric, in its desperate need for the comfort blanket of anti-democratic legislation. This difference is more superficial than it sounds, however. The terrorism bill, for example, is designed to supersede emergency regulations devised by the British and readily adopted by Israel’s “leftist” founding fathers. These regulations operated in the dark and were hard to challenge in the courts. The new terror legislation at least brings Israel’s medieval security apparatus into the daylight. It is part of a pattern. One of Netanyahu’s early laws effectively barred the large Palestinian minority from living in hundreds of rural communities. Israel’s version of apartheid, screamed headlines. Widely overlooked was the fact that these vetting committees were set up by Israel’s founders and quietly enforced by the communist-orientated kibbutz movement for decades. Netanyahu was simply putting a long-standing practice on the statute books. And so too with his centrepiece legislation to define Israel as the nation-state of the Jewish people – that is, of Jews around the world – rather than Israel’s own citizens. Critics have accused him of outrageous ethnic chauvinism, ignoring the fact that the law will not change the Palestinian minority’s legal status. The bill only consolidates the mess of laws and administrative practices established in Israel’s first years to ensure degraded citizenship for Palestinians. In fact, Netanyahu may be doing Palestinians a favour by making the state’s racist foundations and its occupation policies far more visible. For Zahalka and other Palestinian leaders, it is easier to grapple with an Israel that grows ever less sophisticated, ever less capable of concealing its central goals. It looks uglier, not simply because things are getting worse but because they are finally out in the open. The popular shift rightwards in Israel means that even the left can no longer afford to keep its racism hidden from view. That is why it is past time for the international community to admit there is no prospect of an Israel, of either the left or right, becoming a partner for peace. As the left loses the battle for votes to Netanyahu and the right, paying lip-service to Palestinians’ rights and peace – or even smiling at an Arab MP – simply carries too heavy a price.